Before we get started let me give you a brief overview of Sass projects and why they’re better than CSS-only projects. Sass is actually written in a type of language called SCSS. There are others, like Less and Stylus. However Sass is the most powerful and has the biggest following in the web design community. To put it simply Sass is a CSS preprocessor. What’s that? Well it’s a tool that helps front-end web developers create better, more organised and more object-oriented CSS than is currently possible. If you’re familiar with back-end languages like PHP or Ruby then you’ll also be familiar with things like loops and variables. Sass basically brings that into normal CSS. Browsers don’t understand Sass, so to get around that you output your Sass as CSS. Sass is written in a way that can be compiled (or converted if you like) into normal CSS. In the following sections I’ll be giving you a complete guide on Sass for beginners. Create a new folder where your project files will be stored. Next create a folder called assets. Inside assets create two more folders called css and scss. Now create a file called main.scss inside the scss folder. Before we actually write the variables we need to understand some best practices for variable naming. When you have a set of variables it’s always best to indent them by group. There’s a great post called Choosing great variable names (in Sass) which will also help. This can be very confusing for someone new to Sass. So basically an Extend and a Mixin are close to the same thing, EXCEPT Mixins can have variables passed to them and Extends can’t. You might also like: I’ve put together a handy post that lists 8 useful extends and mixins for Sass for use in your next (or current) projects! An extend is simply a pre-written piece of code that stops you having to write the same tedious lines of repetitive code over and over again. At first you may be wondering why they show up separately, well it makes more sense when you use that extend on loads of classes and they all compile together. Mixins are a little more complicated since they can be passed variables which can then determine the output. They’re pretty much the same, but the difference is the ‘dynamic’ one is re-usable. So instead of having two separate Mixins we just change the color when calling the Mixin itself. One of the best things about Sass is being able to structure your project however you like. I’m a big fan of having all my variables in one file, mixins in another and extends somewhere else. Did you notice the _file-name.scss compared with file-name.scss? The underscore makes that file a partial file, which can then be imported. Example below. In the end all of our Sass partial files will be imported into main.scss a which then becomes main.css. So we turn ten different files into one. SCSS in general is one of the most powerful tools front-end developers can have in their arsenal and when you incorporate Sass as your preprocessor of choice then your workflow will increase dramatically. 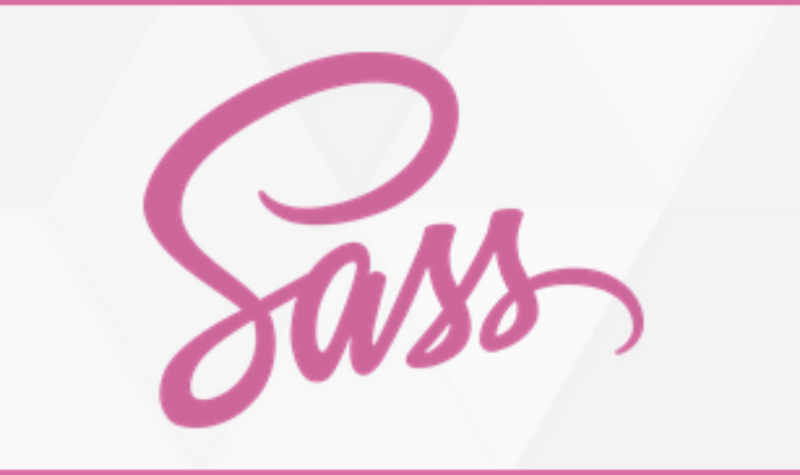 The Sass Way – A tutorial site focused completely on Sass. The Absolute Beginner’s Guide to Sass – Shows some of the same concepts as this tutorial but in a different way. CSS Wizardry – Home to Harry Roberts. Probably one of the best front-end architects around. Sass Style Guide – A comprehensive overview by Chris Coyier. Handy Sass Mixins – Some great snippets you can grab and use on any project.